We are changing name to Harju Elekter! Special equipment that provides control of the AC motors by changing the frequency and magnitude of constant grid voltage to variable load voltage. 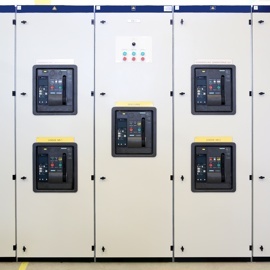 Specific equipment that provides overload protection as well as short circuit protection in industrial, commercial, and utility installations. 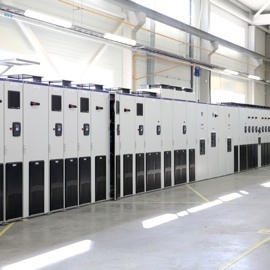 Equipment that is cost-effective and safely supplies adequate electric service to both present and future probable loads after power was received at one or more supply points. With DBR scheduling and control mechanism, full set of ISO and the JIT/Lean/TOC concepts implemented in the operations, our due-date promises are remarkably reliable, (when all other parameters remain the same). In the Engineer-To-Order (ETO) environment we produce customer-specific products that often require unique engineering or design work, or significant customization activities. Typically, a huge variety of parts must be managed and delivered by a number of third parties. As ETO products are well-tailored, they are often built from difficult-to-source parts, expensive parts and highly engineered components. Acquiring the necessary components can be both a time-consuming and costly endeavor causing issues before and during production runs. Working in the Make-To-Order (MTO) environment our consumers purchase products that are customized to their specifications. We start manufacturing the end-product as soon as the customer places the order. Some of the required components are stocked; whereas more expensive or highly customized parts may need to be produced. Although this can create an additional wait time for the consumer to receive the product, it allows for more flexible customization when compared to purchasing the product from retailers’ shelves. 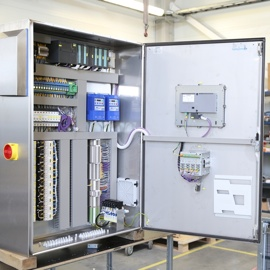 When building an Assemble-To-Order (ATO) product we use some sub-assemblies already built, stocked and ready-to-assemble based on the customers’ requirements. Once an order is received, final assembly begins and the product is delivered with the appropriate specifications. A key advantage to an ATO approach is that minimal inventory is required so the final product can be delivered quickly.